Deer hunters: Don't let your stomach guide your mind. Here, we tell you what snacks NOT to take on the treestand, while uncovering hidden downsides of each. There are lots of lists of best snacks for the treestand or ground blind. Those are nice, but how about snacks that might seem perfect for such a hunting event, but actually are not perfect at all. We've compiled a list of snacks to steer clear of and offered reasons why. Reasons that may or may not be entirely intuitive, but reasons nonetheless. 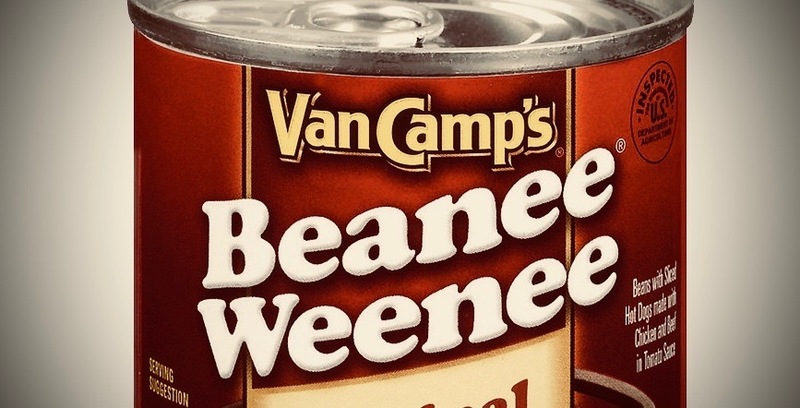 Packed with 18 grams of protein, a can of Beanee Weenee will get you through a long day of deer hunting with plenty of nourishment leftover. Baked beans, by the way, were among the first canned “convenience foods” in the U.S. dating back to their introduction sometime around the Civil War. Only later did somebody have the hella-good idea of adding the hot dogs to the beans, thus the brain child: Beanee Weenee. We admire Beanee Weenee for their convenience and excellent source of protein. Really, we do. But they're sure to cause flatulence, and that’s an issue we just can’t overlook. Plus, forget a spoon and it's game over right from the start. Thus, they land here, on the dreaded "Snacks NOT to Take to the Treestand" list. No. Just no. We’re not going to go into the woods to acquire red meat and then, paradoxically, be "that guy," the super-healthy freak that takes a tiny Tupperware from his pack and munches on cucumber boats for the sake of good health. It doesn’t matter that hummus is remarkably filling, packed with plant-based proteins and high in fiber. Nor does it matter that cucumbers can reduce inflammation and unwanted bloating. It’s a "boat." No. Have a Little Debbie snack cake instead. Cheetos rank higher than chips, because they give you the same crunchiness as a potato chip, but you can easily get an entire Cheeto (or two or three) into your mouth so the crunch is concealed. This is often not the case with a potato chip. This is a notable distinction because, with large chips, little crumbles of chip often fall from your mouth. This is an inefficient use of food and also a possible hazard if you get the munchies as the sun's getting low and the activity in the woods is going up. Lastly, it's unseemly to mention flatulence once again, but perhaps the mention (which will hopefully lead to a strategic awareness) will offer hunters another much-needed edge. If you have a gluten sensitivity, flatulence on the stand could be an issue for you. But guess what? Cheetos are gluten free! Another advantage of choosing Cheetos over potato chips. So why then did Cheetos make this "Snacks NOT to Take to the Treestand" list? If you are a fan of Cheetos, you already know. It's the Cheetos Dust. This mysterious orange dust is bad in hunting situations, but particularly bad for bowhunters. It causes the fingers to be slippery, kind of. But worse, the fingers become so coated that you can't feel what you're touching when the touch is light and the sensation needs to be dialed in for precision. According to the DailyMeal.com, cheese dust is, "technically, cheese dust, whether found in packets of Kraft macaroni and cheese, on Cheetos, or on Doritos, is made from the same thing: Dehydrated processed Cheddar cheese. Most cheesy snacks are made by spray-drying — blasting liquid cheese into a chamber with hot air. This makes the cheese evaporate, and a solid substance is left behind. Add some artificial neon orange coloring and you’ve got yourself a Cheetos coating." Too slippy. Not to mention they smell like flatulence. These are brilliant but have you ever tried to peel off the plastic covering when it’s below 32 degrees. It’s a helluva job. Plus, the trays are super flimsy so if you are gentle as hell, you’ll pull the plastic too fast with numb fingers and knock the crackers out for sure, the meat is next to go. The cheese usually stays put because at some point during shipment it kinda sticks to the plastic tray. This has made several published lists of best snacks to take on a treestand or in the blind, but banana's could be a mistake. Why? Because, well, the banana peel — what to do with it? Throw it down? Maybe. But if you have a nice buck come in and then something goes amiss and he seems super paranoid and then he’s blowing and then he’s gone, that banana peel is going to drive you crazy. You'll wonder, was the giant buck not pleased with the banana peel? Was it the yellow that drove him away? Or the scent? Or both? Here's where you say, "For goodness sakes, just put the peel in your pack." OK, but there's the issue of the peel mingling with critical tools, like your rangefinder. The gook on the inside of the banana peel that’s not really part of the banana itself can cause havoc and smear gook on your lenses. That's no good when you're in a situation just before dusk where it's ill advised to fumble around with a tissue, wiping off said smeared lens. Or any chocolate bar for that matter. Great little snack. Totally convenient and portable. The candy bars with nuts are filling and the sugar boost is nice if you’re dragging. Problem is, a cold candy bar in freezing temps is a real hurdle for human teeth. Conversely if it’s hot, then you have melty chocolate which is a mess and a hazard (refer back to problems caused by cheese dust). Here's to a glorious hunting season and to every deer hunter finding the right snacks for his or her individual needs. A handful of nuts is always nice. Maybe do that. Or, check out this story on ground-blind essentials for hot-weather hunting. Snacks get a mention, along with other must-haves, especially for the early season when temps are hanging onto summer norms. Now that you know what snacks NOT to take on the treestand, find out what happens if you eat the wrong thing and start passing gas on the treestand. Will farts blow up a promising hunt?